Will Ashley's gamble pay off? | NUFC Blog. Still, taken into account our outgoing transfers (Nolan, Enrique, Routledge) and comparing them to our incoming (Cabaye, Marveaux, Abeid, Ba, Obertan) – I’d usually say we’ve done pretty well! Unfortunately Nolan was seen by many to be a captain on and off the field, which is something Joey Barton wasted no time in Tweeting about, and was widely believed to be the straw breaking the camel’s overworked back. Jose leaving has hardly helped matters either – now we’re stuck without a left back for the start of the season. Discontent amongst the players (read: Barton) have gave us a slight insight into the dressing room and what may be going around. The answer is of course: not a whole lot of good. Showing again that ‘preparation’ is the last thing on the boards mind, they let our only left back go and now we’re turning to square pegs once more. The point here is that so many changes can’t be good for the squad. 5 players have came in, fringe players are pushing for a first team place, others are still looking to discover the rest of the teams style of play while some are yet to learn to string a sentence together in English. Yes, readers, it might be time to worry. Or is it? Ashley is, as we all know, a gambling man. With the dice he’s been throwing during pre-season, it can turn out really good or really bad. After all, that’s Ashley’s business model as we all know. High risk, high payout. When it works, it’s amazing but when it doesn’t you best hope your paddle hasn’t just blown a hole in your boat. Don’t get me wrong here, I understand the business we have done so far and have been reasonably happy with it. Players that have gone I have understood why, players that have came in are definitely a class above – but what about the breaking in period? Lest we forget that for 4 of those 5 players this is a new league, a new style of football and probably most importantly a new physical challenge. We’re still hurting for a striker and now for a left back it’s safe to say we’re going to be left somewhat vulnerable in our opening game against Arsenal, however, with their injury woes and potential sales we may just have an easier time of it – and hopefully we won’t concede 4 goals in 30 minutes this time around. Of course I haven’t even mentioned that the tabloids are doing a stellar job at unsettling players and fans alike; they’re considerate like that. But is it really all just doom and gloom on Tyneside again? That’s a simple answer: no. The bright side is so vast it’s almost impossible not to ignore. Gosling, Vuckic, Cabaye, Marveaux, Abeid and everybody else we saw perform so well in the awful conditions last Saturday in our waterlogged friendly. That’s not even counting the youth, flair and sheer ability we have in the squad and of course, news that Barton is free to play in the first team is also a huge boost to the squad – if Joey can pick up where he left off, today’s game will be an interesting one – especially that Diaby is supposedly out. Maybe the Fat Controller’s gamble won’t pay off but there’s always another throw of the dice, another spin on the roulette wheel and another hand to be dealt with each passing minute. Especially at this club. There is, of course, one way to make sure his gamble does pay off and that’s simply by using the power we all have to spur on the players, to remind the owners and journalists exactly who we are and exactly why we’re renowned for our unwavering love and support – let’s shake the Cathedral on the Hill this season. At the end of the day, the only thing we need to worry about as fans is the 11 men on the pitch. Conjecture and guesswork regarding our transfers can come on September 1st and until then, we need to support the lads. We have two very tough games to begin the season so let’s get behind every player to run out in black and white. Let’s show the new lads that they have selected the right club – the best club. Newcastle United’s injuries are clearing up. Quite agree. Once the lads are on the pitch we support them. End of. Here’s hoping for a good start. HWTL. I just dunno what to expect….hope I am surprised but fearing the worst. @sjt: I’m expecting nothing spectacular but am cautiously optimistic against my better judgement. Your forgetting Campbell and Kuqi from list of outgoings not amazing players but the fat one will certainly be saving on their wages. There is also Xisco who has been loaned out again so we must be saving something from his wages as well. In midfield I would take what we have over any side in the Prem, even including Chelsea, Man U etc!! Especially if we can get HBA fit, I think we have a potentially very exciting and dynamic mf. But in defense and in attack we’re nowhere near as strong. We should be aware of that and certainly not sell anyone (unless we have a strong replacement). I reckon Enrique is the best player Liverpool have signed in pre-season. Dalglish is an average manager, and some of their recent signings are mediocre but we’ll miss Enrique a lot. Just want to see us show we’re acutely aware of the weaknesses we have and make the most of our strengths. @lualua: I purposely kept it to cash transfers rather than just freeing wages up. If I went through everybody who was released and people who were loaned out, I’d have been writing for hours! @ Adam; In midfield I would take what we have over any side in the Prem, even including Chelsea, Man U etc!! What, realy ? Are you on drugs ? I agree we have a great midfield but as good as the teams challenging for top 6 ? Our midfield is an interesting one. We have world class defensive mids, world class attacking mids, world class centre mids but when it comes to left or right we’re average. I’d take our central midfield above any other side in the prem quite happily. I agree with that, though Tottenham Chelsea and potentially Liverpool are better equipt in the centre mid area though for wingers we are decent but not compared to the top sides. I’d have Modric from Spurs any day of the week – despite the hassle surrounding him! I’m not sure about what you’re saying if I’m honest. Don’t get me wrong, they’ve got quality players in the centre and nobody can deny that but I think our strength lies in the depth we have in the CM position and it’s for that reason I’d take them over anybody else. Plus we have a lot of versatility which is superb imo. What depth do we have in the centre ? Yes we have Tiote, Cabaye and Ben Arfa but after that we have youngsters and Smith. In terms of wingers we have Marveaux, Barton, Jonas and Obertan, where as the toip sides have Nani, Park, Valencia, Bale, Lennon, Silva, Johnson and i could go on and on, the point being is that we aren’t quite up there with the top sides, in terms of midfielders. 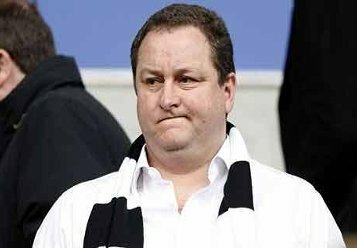 Assuming a fully fit squad as they are right now (I know, I giggled too): Barton, Tiote, Cabaye, Ben Arfa, Obertan, Gosling, Jonas, Vuckic and Abeid. Naturally Vuckic and Abeid are bottom of the pecking order as they have a lot of learning to do before they play EPL football. How is that not strength in depth? Yes there’s a few utility players but they’re players who have all played CM and have played there to some success. Nani, Park, Valencia, Bale, Lennon, Silva and Johnson are also not all on the same team. If they were, I’d definitely agree with you. Well three of the players you mentioned are young and will probably be inbetween the first team and reserves. Keep in mind we are likely to be playing 4-5-1 aswell rather than 4-4-2, though as you said we have a lot of versatility plus we both forgot S. ferguson who’s best position is in midfield. Though that still escapes the original ppoint which is we don’t have the same depth as the top sides. Aye, fair point i was going to name the midfielders to each individual club but lost track of thought. Liverpool have missed a pena(Suarez). Oh and Dyer is injured again. Personally I do worry about our local institution being used as a roulette wheel Thump and I don’t really feel so sanguine about it. We have already been relegated once and a football club has some crucial differences to the bottom end of the rag trade. Team according to Mick Lowes (radio Newcastle) Krul, Simpson, Saylor, Collo, Raylor, Barton, Tiote, Cabaye, Jonas, Ba, Shola. Netherlands’ first choice left back summer. Aye, worky though from what i read on the psv forums he isn’t very good and only gets in the team because the dutch have limited options in that position. However, he was apparently very good a couple of years ago and he is still young so maybe we can get the best out of him. Summerof69 – PSG Coach Fred Rutten has said he would lie in the road if it would stop Erik Pieters moving to us as he does’nt want him to leave, does that does not sound like someone who is not very good?